Lock in a great price for Hotel Casa del Marqués – rated 9.4 by recent guests! Beautiful historic "casa" in the center of a very well preserved town. The room was large and very comfortable with an old world atmosphere. Our room had a nice balcony overlooking the back garden and was the perfect place to relax, escape the tourists and enjoy a glass of wine and read a good book. The staff was friendly and very helpful with restaurant recommendations. Also good breakfast and onsite parking. Amazing hotel. So much character. Our room was nice and big and the location is excellent. We loved the location. The hotel itself is beautiful and the garden patio is lovely. The staff was friendly and helpful and even cooked our eggs to order. We would like to stay there again. The location. Our room had a huge beautiful covered balcony with a couch, table and chairs. The staff was friendly. Check-in was seamless (with someone going out to the car to get our bags and deliver them to the room). And the hotel was gorgeous. We loved the casa de marquesa. 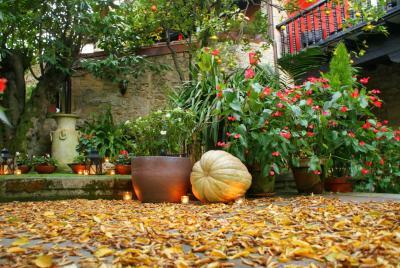 Beautiful patio & courtyard, lovely rooms w antique furniture, just a wonderful hotel. One of the best places we stayed in Spain. The location is perfect. The room was incredible. I loved the balcony, overlooking the garden. It was peaceful and so beautiful. The bathroom was remodeled and with all the convenience of a 5 star hotel, including robe and sleepers. But I have to say the best part was the staff. The night staff went out of their way to find us what we needed when we found restaurants closed in town. We are forever grateful. They were also very accommodating in the morning, helping us fill our water bottles with cold water, and keeping our luggage while we checked out the town. Casa del Marques was even more beautiful than we expected. 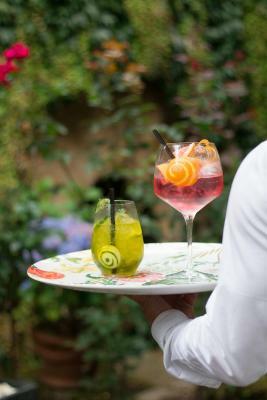 The room was spacious and felt luxurious, and the balcony overlooking the garden was a perfect place for an evening aperitif. This is a first rate hotel in a fairy town. 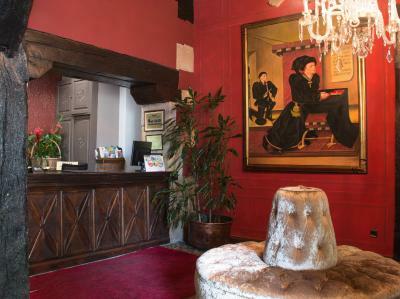 The hotel is in an ancient building where many of the original design and construction elements are preserved. The setting from the outside garden and setting areas to the balconies on the rooms are beautiful and extremely comfortable. The staff is very helpful and friendly and there is onsite parking for a small charge. The room was spacious, beautiful decorated and comes with all the amenities one could need. 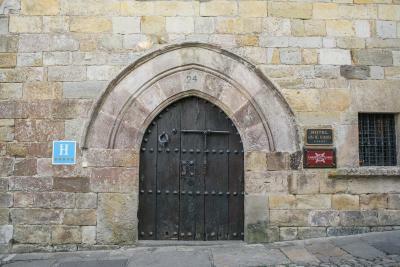 This is the perfect base for wandering through the ancient streets of the town. Hotel Casa del Marqués This rating is a reflection of how the property compares to the industry standard when it comes to price, facilities and services available. It's based on a self-evaluation by the property. Use this rating to help choose your stay! 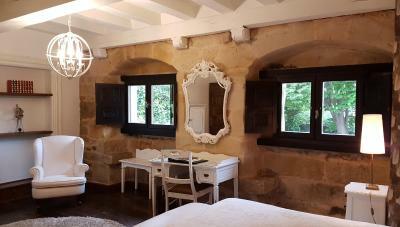 Residence to the ‘Marquis of Santillana’ back in the 15th century, the building has now been carefully renovated into this delightful 5-star hotel. With such an intriguing history you will feel as if you have stepped back in time but with all the comforts of the present day. The original oak staircase (made from a single tree trunk) is an impressive sight upon entering the hotel. Although fully equipped hotel with all the latest facilities there is a good balance between luxury, tradition and comfort. 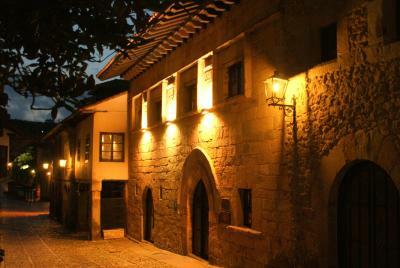 This is our guests' favorite part of Santillana del Mar, according to independent reviews. This property also has one of the top-rated locations in Santillana del Mar! Guests are happier about it compared to other properties in the area. This property is also rated for the best value in Santillana del Mar! Guests are getting more for their money when compared to other properties in this city. 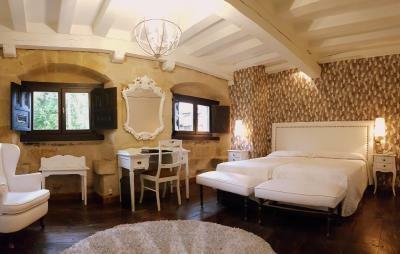 When would you like to stay at Hotel Casa del Marqués? This rustic-style bedroom features antique furniture, air-conditioning, a TV, and a desk area. There is also Wi-Fi, a pillow menu and a private bathroom. Private parking is available on site (reservation is not possible) and costs EUR 11 per day. Extra bed for the third person. Please advise the hotel directly if the third guest is an adult or child. This can be noted in the Comments box when booking. - A glass of Cava. Free! Wired internet is available in the business center and is free of charge. House Rules Hotel Casa del Marqués takes special requests – add in the next step! Free! One child under 1 year stays free of charge when using existing beds. One child under 2 years is charged EUR 22.68 per person per night in a crib. One older child or adult is charged EUR 35 per person per night in an extra bed. Hotel Casa del Marqués accepts these cards and reserves the right to temporarily hold an amount prior to arrival. Loved everything about the hotel. Staff were seriously efficient, friendly and helpful. 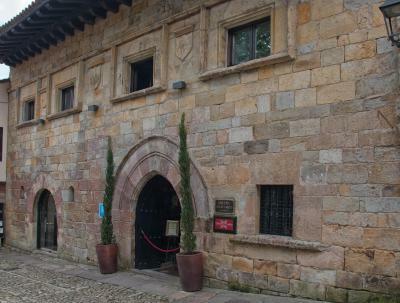 The building, in the old part of Santillana del Mar is worth the visit on its own. The floor creaked loads because it’s an old building, but not great when you’re in a room with a sleeping baby. The bed was extra comfy and the room was really spacious. The bath was a jacuzzi bath and there was his and hers sinks. There was a gin bar downstairs with a wide variety of guns including some local ones which were delicious. The room did not have a window, only a sky light. Piped music which was controlled by reception. Breakfast not satisfactory; too limited, rushed and cramped. Expensive when add-ons (breakfast and parking) are included. The public areas of the hotel. On site secure parking. 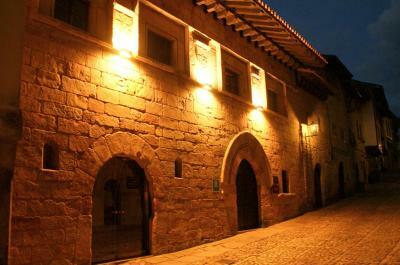 Easy access to facilities in Santillana del Mar. Wonderful hotel. Perfect location. The staff is very helpful. We definitely recommend it! 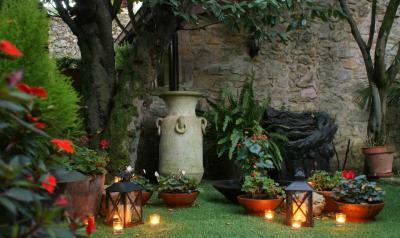 The oldest hotel in the village, this is a little gem of a place, set in its own courtyard off the cobbled streets. We had a four poster bed and balcony. Staff were lovely, bar was open late. Restaurants nearby, recommended by reception, were superb. The rooms are missing pretty much everything we expect from a 4 or 5 stars. No plugs for charging a phone, no real hair dryer. The worst thing is the sound isolation. You can hear people from the next room speaking and all the noises from their bathrooms. When you notify the reception they just say sorry without a proper solution. This is unacceptable. It would have been nice if they could provide dinner. Most restaurants closed Sunday night. Central position. Staff very helpful. Comfortable bedroom.